So much planning, so little time! There are only 18 days until Christmas (crazy how fast this year flew by!) and if you need some inspiration for all things holiday check out our latest posts on our gift guides and wrapping. The holiday season is a busy time but we would never forget to mention our Pinterest favorites of the week! These wreaths give us major throwback vibes to our own wreath event (HUGE thanks to everyone who came!). Add a perfect rustic door and we're set! We're loving the contrast of the dark cabinetry and the bright white walls. Those light fixtures? Yeah, we'll take a few. Clearly this week was all about brass light fixtures. We love this open style and pairs perfect with the exposed pots and pans! 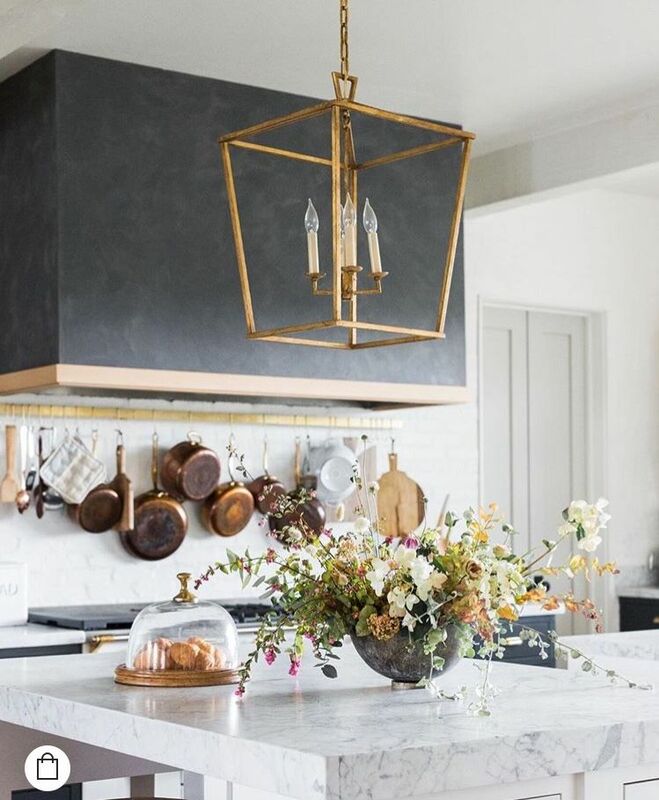 Not only does dark cabinetry pair perfectly with brass but also a great backsplash tile pattern! We can't get enough of this exterior and the minimal holiday decor. Sometimes less is more!